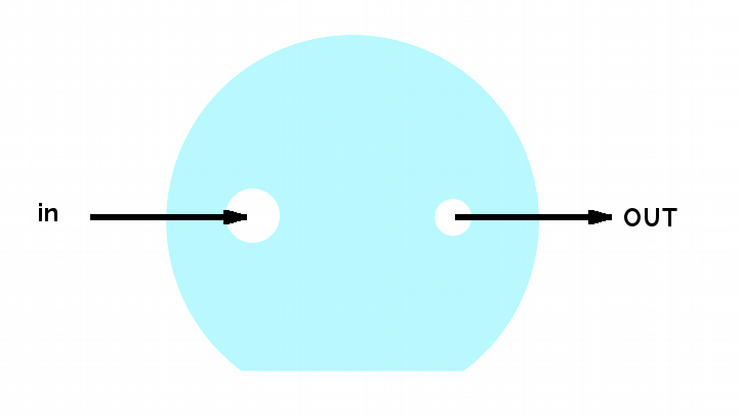 Which is the diameter of the inlet – outlet holes of the window cell? The precision machining is mainly due to the CNC milling machine that we used for making the window cell. Which is the best kind of tubing for application with liquids ? Which is the best outer and inner diameter of tubing ? You should use tubing whose outer diameter is OD = 3.2 mm and internal diameter is ID = 1.6 mm. If you are using openQCM with a peristaltic pump we suggest to use a smaller tube for the one in the peristaltic pump, for example Tygon tubung ID = 0.51 mm. Actually you can reduce the frequency fluctuations by reducing the tube diameter in the peristaltic pump. Can I use openQCM with a peristaltic pump ? Yes of course you can ! openQCM is very effective in application with flowing liquids. You can use the peristaltic liquid pump designed by Adafruit product id:1150. It works quite fine with openQCM. You should use an external power supply at 12VDC and connect inlet – outlet tubing for flowing the sample into the openQCM measurement chamber. What is the material of the 3D printed openQCM case ? What is the thermal properties of the openQCM hardware case ? What is the temperature range of the Arduino and openQCM shield ? It is recommended to use the Arduino board and the openQCM shield in the working temperature range -40°C to 85°. The I2C T sensor actually measures the temperature inside the openQCM device. In fact the sensor is embedded in the openQCM shield inside the hardware case, between the arduino micro and quartz crystal sensor. It is important to monitoring the temperature because the quartz sensor frequency depends on the variations in temperature. Why my frequency baseline are drifiting sometime? Commonly, in a well set system the drifts are negligible. In any way, the drift can occur for a number of different reasons. The most common cause is due to temperature variations. For this reason openQCM mounts a temperature sensor, by which it is possible to verify in real time experimental thermal conditions. Is openQCM to all effects an high quality scientific instrument? Absolutely yes! Despite openQCM is a low-cost device its accuracy and stability is fully comparable with most common scientific devices today present in the market. openQCM is designed by a research team with years of experience in the mass sensors development. As matter of fact, openQCM team collaborate at calibration of QCMs onboard the ESA-ROSETTA space mission and developed a lot of scientific qcm and MEMS devices for space, biology, electrochemistry applications, etc. Can I use openQCM in air or vacuum? openQCM is a Quartz Crystal Microbalance whose design was conceived for use in air, in liquid and in vacuum. If you want to use the device in gaseous environment it is sufficient to remove the magnetic sealing chamber. So you will be able to use openQCM without further modification. Can I use openQCM for educational purposes? The high affordable cost and its easy of use makes openQCM the best choice for educational purposes. For degree student or for every level of school, this Quartz Crystal Microbalance device will increase the learning experience. The Arduino COM port is not recongnized. What should I do ? You should update the Arduino driver. You can download the Arduino driver at this link drivers-arduinoIDE-1.0.6-x86.zip Unzip the folder and install the drivers. Sometimes Arduino is not recognized by Windows 8, because the driver is not digitally signed. In this case you should follow this tutorial. I can’t upload the Arduino firmware. What should I do ? Firstly you should verify that the Arduino driver is correctly installed on your computer. If the Arduino driver is ok, in order to upload the openQCM arduino skecth you should add the external library FreqCount developed by Paul Stoffregen. Download the FreqCount library at this link and follow the Arduino guide Installing Additional Arduino Libraries in order to install the library. Is openQCM software cross-platform ?